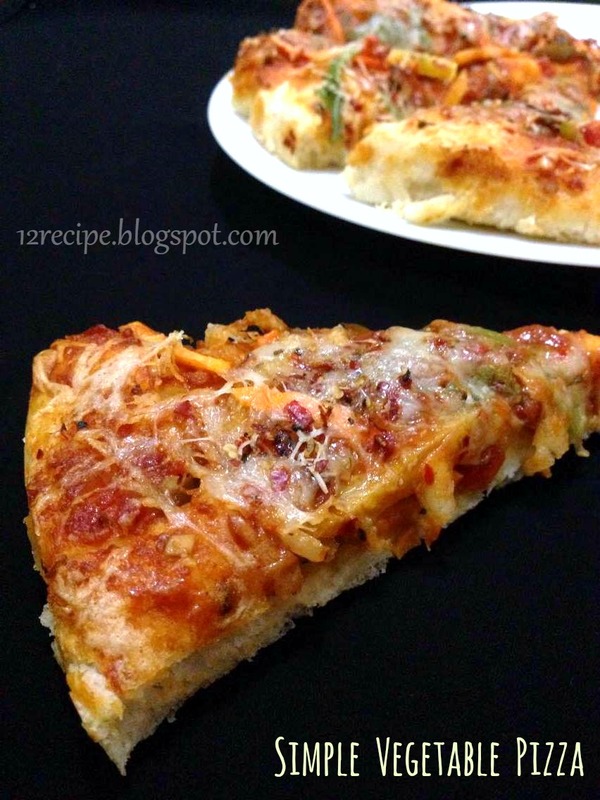 A pizza is simply incredible with little vegetables and lots of cheese topping in it. 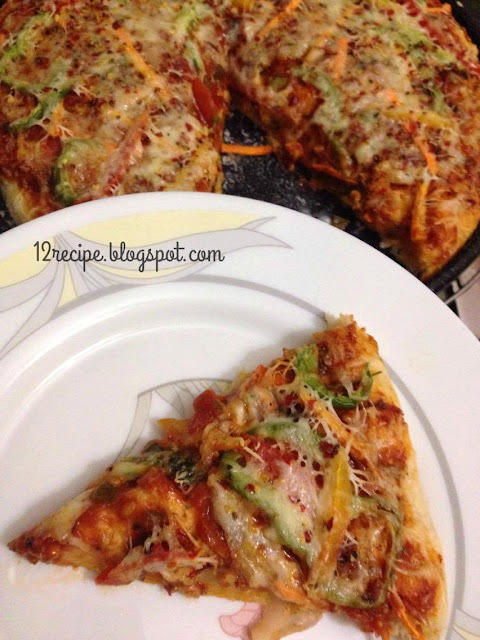 Here is such an amazing and simple pizza recipe with Indian flavors and Italian way of cooking. Try to include it in your party menu and never any leftovers!!! In a bowl mix sugar, yeast and warm water. Let it rest for 10 minutes or until frothy. Mix flour, salt, chilly flakes and oregano. Add olive oil in to it and mix like bread crumbs. Add it in to the yeast mixture and mix well to knead a smooth dough (if it is dry, add little water or if it is watery, add little flour to adjust). Cover the dough with a wet kitchen towel and let it rest in a warm place for 2 hours (or until doubled in size). (pre-heat the oven for 3 minutes and switch off the power, after that keep the dough inside the oven for 2 hours is the better place). Mean while prepare all the other things. After the dough gets doubles in size (it will be sticky), add little oil in your hand and flatten the dough to a thin circle. Arrange the rolled crust on a greased baking tray; make some marks in it by using a fork. 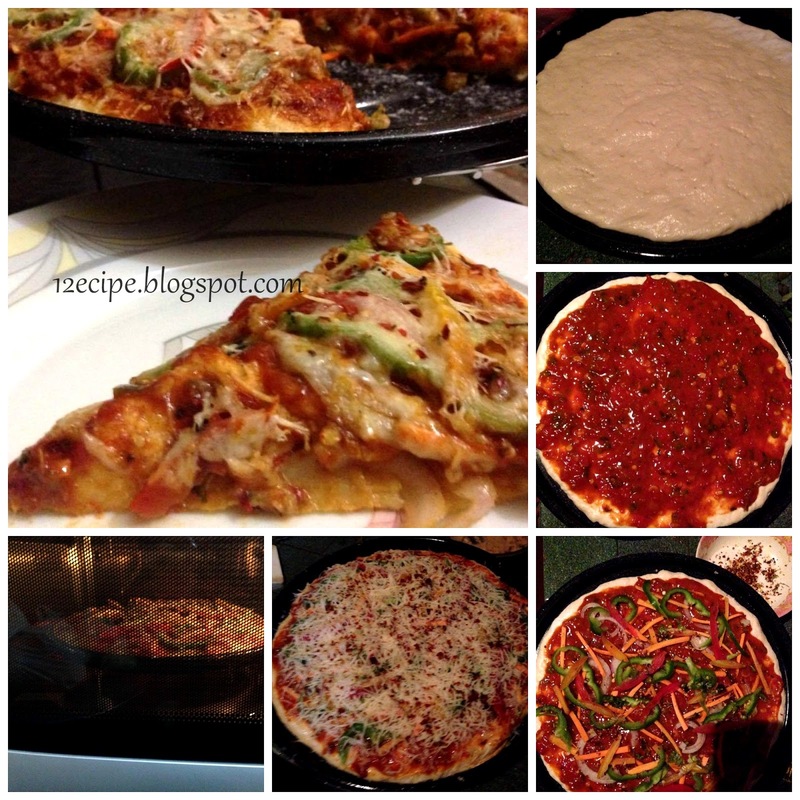 Spread the pizza sauce evenly over it by leaving the edges. Above that spread the vegetables, kasoori methi crushed and pepper powder. Spread mozzarella cheese over it. Lastly sprinkle chilly flakes and oregano on top. Apply olive oil evenly on top; especially on the edges. Bake it in a pre-heated oven(at 180 degree) for about 20-25 minutes or until the cheese gets melted and become nice golden in color.